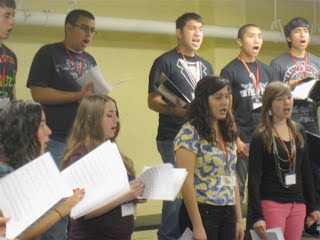 March: Chanticleer National Youth Choral Festival - Day Two- Happening right now!!! This is what it's all about. The singing life. All of us working hard, sharing our love of singing and of music, and enjoying each other's company for four days.